On February 4, 2019, God welcomed a new angel into Heaven. Mary T. Bach, age 81 of Le Sueur, passed away unexpectedly at Hennepin Healthcare Center in Minneapolis. Memorial Mass will be held at 10:30 a.m. on Friday, February 8 at St. Anne’s Catholic Church in Le Sueur, MN. Visitation will be from 4 -7 p.m. on Thursday, February 7th at the Kolden Funeral Home in Le Sueur, concluding with a CCW Rosary at 7:00 p.m. Visitation will continue Friday morning at the church one hour prior to Mass. A private interment will be held on a warmer date at Brown Cemetery, Henderson. Mary was born in St. Paul, MN on May 31, 1937 to Joseph and Adelaide (Hirscher) Strunk from Shakopee, MN. Her family owned and operated the Old Drug Store in Shakopee for 4 generations. Her maternal Grandfather, F. X. Hirscher, was a well-known furniture maker in the Shakopee area and was most recognized for carving church altars, including those at St. Mark Catholic Church in Shakopee. She married Ernest John Bach on September 6, 1958 at St. Mark Catholic Church in Shakopee. Mary and John lived and farmed in Jessenland Township for 40 years. She was an amazing farm wife and homemaker; helping John in the field and raising their 5 children. After their children were grown, she was a bank teller for 12 years at Sibley County Bank in Henderson. After retiring, Mary and John became “Snowbirds” and enjoyed 21 warm winters in Alamo, Texas. They enjoyed their home on German Lake with family during the summer months in Minnesota. In 2007, they moved to Le Sueur. 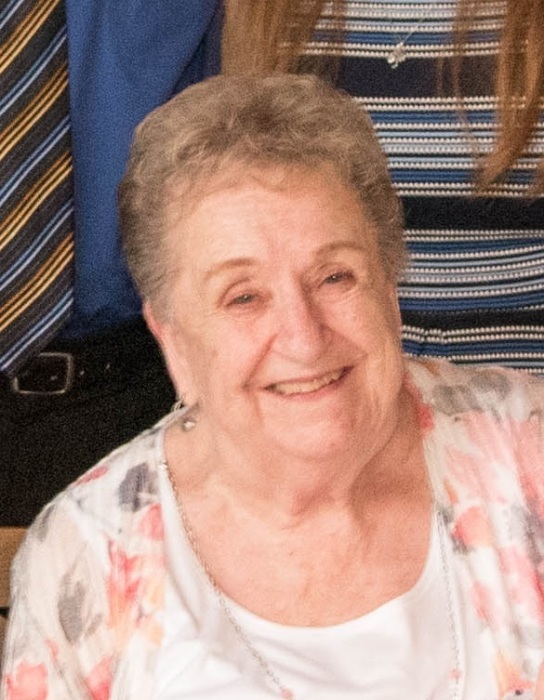 Mary loved camping, golfing, snowmobiling, baking, sewing, and playing cards with their Texan friends and family, especially Sequence with her Grandkids and Great Grandkids. Mary was a member of the National Catholic Society of Foresters, American Legion Auxiliary, Tourist Club, and St. Joseph’s CCW and church board. She also volunteered as a 4-H Leader and CCD teacher. Mary is survived by her beloved husband of 60 years, John; children, Julia (Kevin) Robak of St. Cloud, Robert Bach of Mankato, Joseph (Cindy) Bach of Mansfield, TX, and Thomas (Robbie) Bach of Henderson; daughter-in-law, Kristine Bach of Le Sueur; grandchildren, Trista Robak, Matthew (Megan) Robak, Nicole (Adam) Smith, Britany, Christopher, Andrew (MacKinsey), Kyle, Meredith, Nolan, and Ryan Bach; and great-grandchildren, Trinity and Tiana Gay, and Owen Smith. She was welcomed into Heaven by her parents; son, David J. Bach; brother John Strunk and his wife Mona; and her beloved Aunt Gertrude.